Your primary care physician (PCP) is a doctor you see regularly about basic healthcare. Ideally, your PCP knows and understands your medical history so he or she can effectively and efficiently treat and resolve any issues you may have. Coordinating your healthcare through your PCP means getting a personalized approach to your health needs. A doctor who sees you often is more likely to notice changes in your health, catch minor problems before they become big problems and help you manage any chronic conditions you may have. All of this means you will have fewer medical and emergency room visits, and that saves money on healthcare costs. If you’re young and healthy, you may wonder why you need a primary care doctor. Simply put, we all need healthcare sometimes, and sometimes at the most unexpected times. When that happens, the more your PCP understands your health history, your habits and your personality, the more he or she will be able to help you make healthcare decisions that are right for you. This includes coordinating your care in a way that works best, and that you can understand. You need to find a PCP with whom you can develop a strong relationship and who will value your input and opinion. This is a relationship based on trust. You need to feel at ease with your PCP. You may visit a few doctors before you find one with whom you can connect, and that’s just fine. Another factor you may want to consider in selecting a PCP is the doctor’s ability to communicate in your native language. Family Practice: A family practice doctor is trained to treat the entire family. Internal Medicine or Internist: An internist is focused on diagnosing and treating adults. Pediatrician: A pediatrician is a PCP for newborns, children and adolescents. Obstetrician/Gynecologist: An OB/GYN is a doctor who sees a woman from maturity on up. 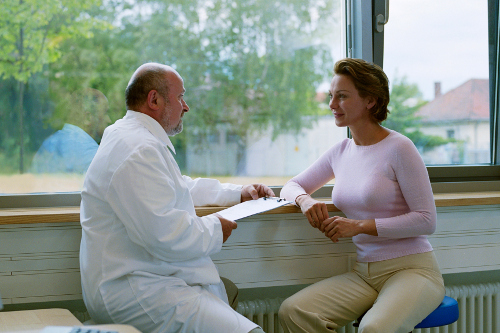 Many women use their gynecologist as their primary care doctor.